Wine to me is a passion. It's family and friends. It's warmth of heart and generosity of spirit. Wife threw me a challenge and requested 100% vegetarian for her birthday dinner last month. 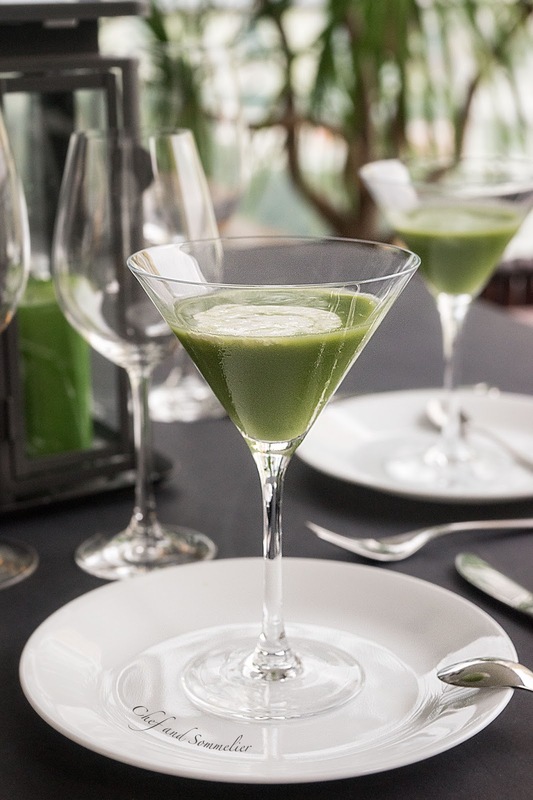 This light yet flavourful chilled pea soup is perfect for our warm and humid climate. Serving it with ricotta cheese in chilled martini glasses gave a spectacular start to our celebration. I am Home Chef Alvin, the man behind Chef and Sommelier. I believe in cooking from my heart and that food connects us to our past, to our memories, to our family, our friends and even perfect strangers. The taste, smell and texture of food can be extraordinarily evocative, bringing back memories not just of eating food itself but also of place and setting. It triggers deeper memories of feelings and emotions, internal states of the mind and body. Food enables us to experience and share the beautiful things in life. Come this festive season of love and giving, I plan to share the love through my food and at the same time give something back to the community. 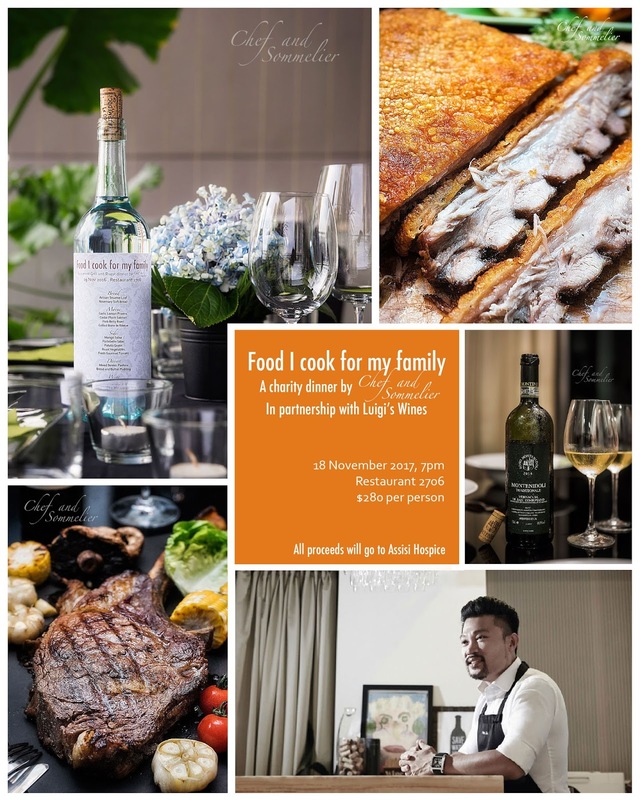 I will be serving what I usually cook for my family and friends in a Charity dinner on November 18, 2017 (Saturday) at my humble abode aka Restaurant 2706 to share the love and help raise funds for Assisi Hospice, a Catholic Charity providing compassionate, personalized and quality Palliative Care to adults and children with life limiting illnesses. In this modern fast-paced society, time is precious. There are so many things to accomplish with so little time. Everything and everyone is moving so very fast. As parents of 3 school-going kids, my wife and I have to balance our home, the kids, our offices and our personal lives, and at times we can be feeling stressed and overwhelmed. Therefore it is important that we find and pursue common passion to balance our lives and to spend time and have fun as a couple. When you are passionate about something, your energy intensifies. And when your energy is more focused, you are able to accomplish more with the same or lesser time. And we found our passions in food and wine. We both love to eat (who doesn’t). I love to cook, her passion is in baking and we both enjoy a glass or two of wine with our weekend meals or on weekday evenings after putting the kids to bed. Of late, I really enjoy roasting my meat at a low temperature for longer time. The slow-roasting method minimizes moisture loss resulting in a more tender product. Last weekend, I applied the method to roast a whole duck for our Sunday dinner. Despite the longer roasting time, active cooking time was only about 10 minutes. 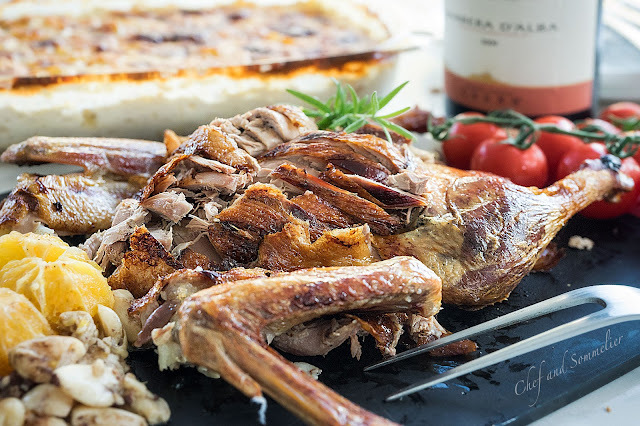 I had the whole afternoon free after putting the duck in the oven only to be reminded that dinner was ready when the whole house was filled with the amazing aroma from the kitchen. 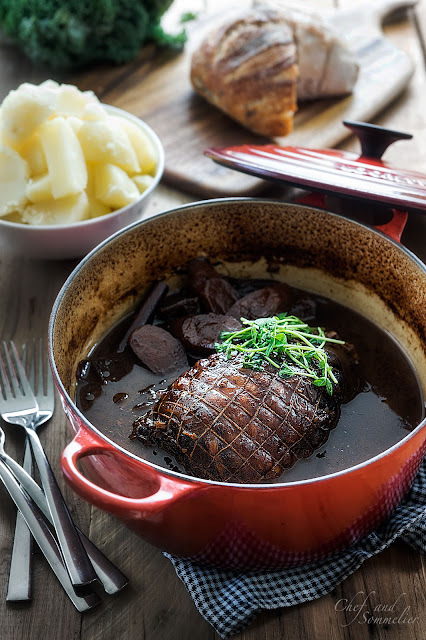 If you have no time to cook but still yearn for a good Sunday dinner, this is the recipe for you! I am a caveman when it comes to steak - give me a Tomahawk anytime! 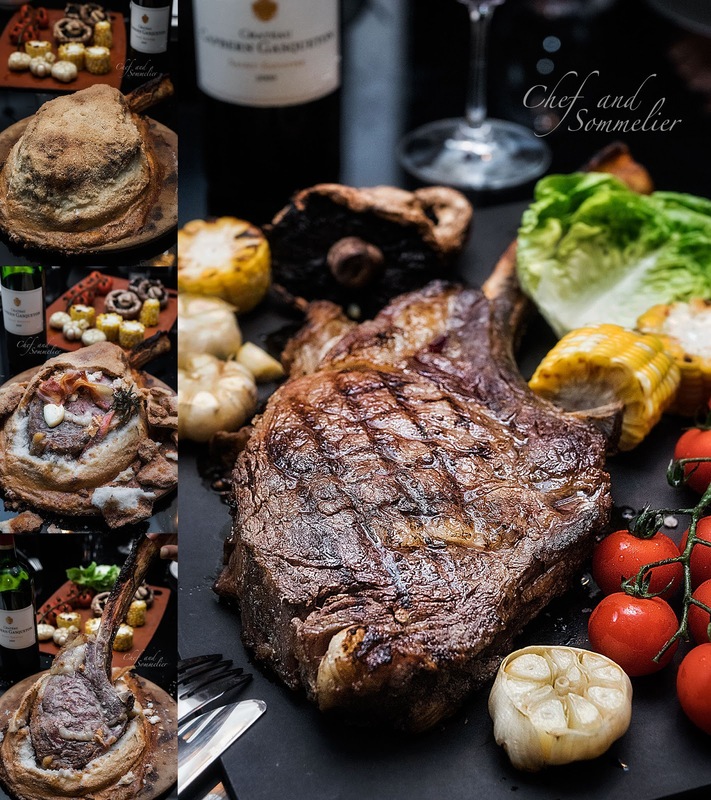 I love the dramatic presentation of the Flintstone cut when it is served and the flavour of the steak is simply amazing. The double-cut bone-in ribeye has quite a large amount of inter-muscular fat. Both the huge bone and inter-muscular fat give the steak loads of flavour when cooked. So you can imagine my excitement when I came across a cooking technique that, I thought, could elevate the Tomahawk steak to another level. Last week I watched a video on a barbecue youtube channel featuring a salt-crusted Cote de Boeuf recipe. The idea was to encase and bake the steak in a thick layer of salt paste to seal in the flavour and keep the natural moisture of the steak inside, ensuring a juicy cut. The steak was then removed from the hardened salt crust and finished off quickly on the grill for the char and grill mark. I was totally captivated and knew instinctively this would be another recipe to be added to my “to-die-for” collection. Food made with love always taste better. Wife loves gnocchi and last weekend I got all the kids to help out in the making of these lovely potato pillows. 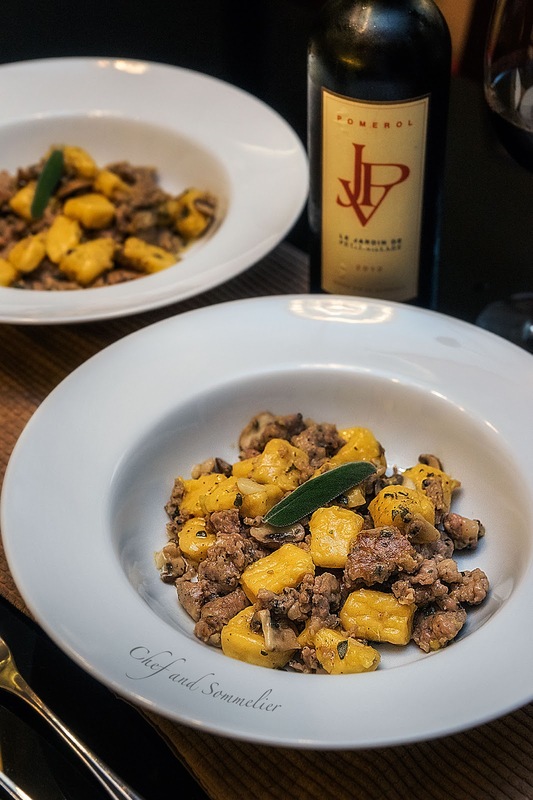 Besides preparing our own dinner, making gnocchi was a bonding session for the family. We got our hands dirty (with flour), distributed the work and cracked jokes along the way. It was not quick and not super easy. There were numerous steps of repeating the same task. Making gnocchi requires time, determination and patience but it was through the process that the kids learn about such values and appreciate the gift of giving and love. Gnocchi is a labour of love. It does not require the most expensive ingredients but to me it is the most luxurious of pastas. It shows anyone you serve the handmade gonococci to, that they are special to you. That you are willing to spend the time and effort for them. They are worth it and you love them. As we all know, the age of an animal can affect the tenderness and flavour of the meat. Some people do not appreciate the taste of mutton as the meat from adult sheep tend to have a very strong and intense gamey flavour and it contains a considerable amount of fat too. Lamb is a sheep that is typically under one year of age. As such, the meat is very tender and has a mild flavour compared to mutton, making it a very versatile option and preferred choice of meat. Of all the different cuts of lamb, the rack or the chops are the most expensive but are incredibly delicious and tender. Such tender cuts make cooking really easy and enjoyable. It took me less than an hour (end to end) to make this super yummy gourmet meal for our Sunday lunch. After slicing the lamb rack into chops, I marinated the meat simply with just sea salt and pepper followed by a quick sear (1 minute on each side) over very hot skillet. 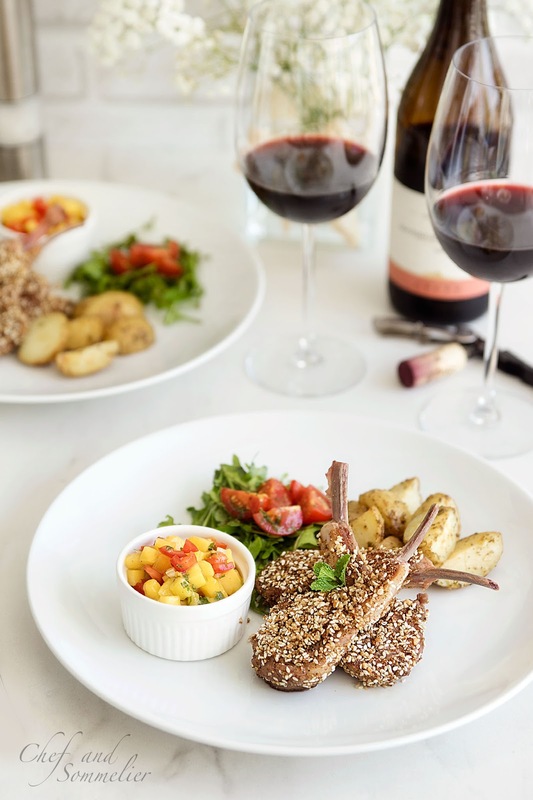 The final coat of dukkah spice mix elevated the juicy lamb chops to another level, giving it a robust flavour with a stunning rustic crust while the minty, sour-sweet and refreshing mango salsa provides a great balance. Now you have to believe me that with just a few basic ingredients anyone can create a gourmet meal at home. We usually have our Prosciutto di Parma (Parma Ham) served as is without cooking. Classic way of wrapping the ham around melon or serving it with burrata cheese are 2 of my favourite serving styles. Recently, I had some leftover sliced Prosciutto di Parma in the refrigerator which was approaching its expiry and not ideal to be served fresh. I flipped through some old cookbooks and found this perfect recipe for our Sunday dinner! I am a father of three and hold a day job in the financial industry. I love wine & dine and spend my free time experimenting new recipes and wine pairing while my Mrs loves to bake. Our dream is to set up our own restaurant and/or wine shop to pursue our interest and make a living at the same time. However this dream has to be deferred for now as our priorities are currently the three little ones. I started this blog to note down everything related to this dream. 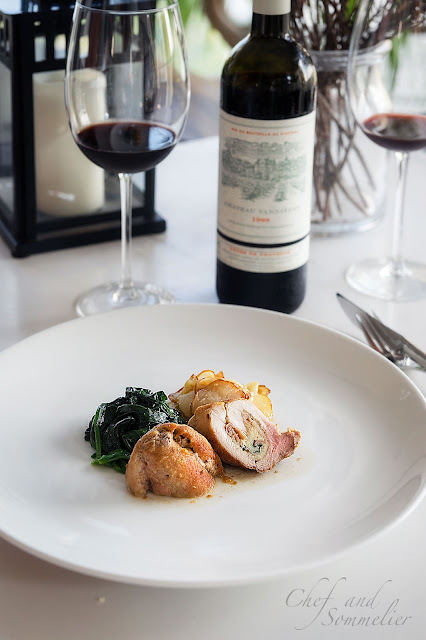 The recipes that I have experimented, tasting notes on wines, our hosting and gathering experience (with good food and wine of course), restaurant review and vineyard visits.. everything and every experience associated with my interest and passion. Chef and Sommelier is now part of the global foodie blogroll community.